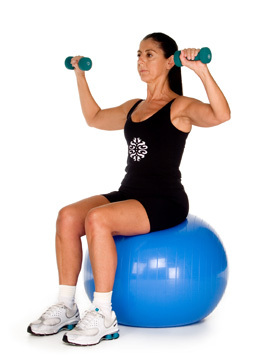 Start by holding the weights over the thighs and raise your elbows to shoulder level and rotate the weights up. Bring them down slowly. Repeat 10-20 times.